Army Corps of Hell brings a new level of vicious combat, dark humour and lightning-quick action to the Playstation Vita. 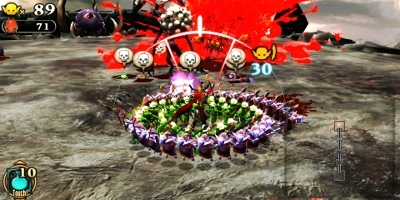 Players control an army of a hundred goblin soldiers with various classes and abilities to defeat a host of enemies in order to reclaim the King of Hell’s throne. In Army Corps of Hell, players can take full advantage of the Playstation Vita system’s unique control features to experience war like never before. Command Massive Goblin Armies – Annihilate your enemies by controlling an army of 100 goblin soldiers with assorted classes and abilities. Restore the King of Hell’s control, empower his army to take on all comers and reclaim his place as the ruler of the underworld!Unleash the Power of the Playstation Vita – Use the rear touch pad to command your goblins to play instruments, each activating special properties. Revive your hero, rejuvenate your soldier and inspire your army to increase their strength! Skilful play will be rewarded with significant benefits and a greater edge against the demon horde. Reap the Spoils of War to Equip Your Corps – Combine materials dropped by fallen foes to create new equipment for your troop. Customize your corps’ equipment and items to change the look and upgrade the abilities of your goblin soldiers. Team Up with Friends and Increase the Challenge! 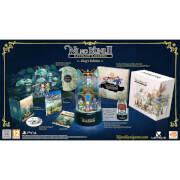 – Play with up to four players via ad-hoc multiplayer and face tougher bosses to acquire rare items. Pikmin killer this is not. While Army Corps of Hell sounds like a great idea, slaying massive enemies with your little minions being lead by your command, the problem is that this is the only part of the game. There's no real exploration in the levels, it's purely "Kill x amount of enemies, cross a bridge, do it again" And what it does it doesn't do as nicely as Pikmin or Overlord either. The main gameplay consists of picking a class of minion from soldiers, spearmen, and mages, then pounding an enemy with everything in your control and then moving on to the next one. While I'm not that far into the game, the main variety seems to be that the enemies will have different attacks, which mean nothing as when your minions are hit, they just lie on the floor 'till you touch them and they recover. The bosses are fun and the enemies are nice to look at, there's just not that much going for the game. There's a few customization choices where you can craft new weapons with the meat taken from enemies, but it's nothing more than bigger stat numbers for bigger enemies, nothing game changing. The only reason this is worth buying is the soundtrack, which if you like metal will be right up your alley. If you can get the game for a few quid and treat it purely as an interactive CD album, you'll get more out of this. If you buy it expecting pikmin in hell, you'll be disappointed. If you like metal, buy it for the soundtrack. The only reason why this review has 3 stars. This game is like Pikmin of Nintendo. 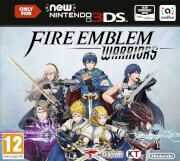 The graphics are not very good but it's for it's price is fun and has excellent music. The game is good, but it gets a bit boring after a while. You can play Army Corps Of Hell without reading the booklet that comes with it. It's easy to get the hang of the game, but you will not be able to put your Vita down. I warn you. Army Corps of Hell is no good really. It's pretty boring. I'd say Dead Island is better. Army Corps of Hell is a game that feels very complete. It has a lot of good playing time, but can be repetitive. Army Corps of Hell is a bit repetitive, basically a plain shooter at heart. You can level up your soldiers with new abilities and earn new armour, weapons and more. You have to clear each island and defect the boss. It may not be the best but it passes the time between the blockbuster games. Army corps is a great game, with great storytelling, dark ,almost infernal backgrounds and areas and of course a fantastic heavy metal soundtrack that fits great to this game.my only problem and complaint of this game is that is a little bit repetitive. Just got the game earlier and when I played it, I did not really like the graphic but the gameplay is good. You can upgrade your army with better weapons and gear. Also the sound track in this game is really rocks. 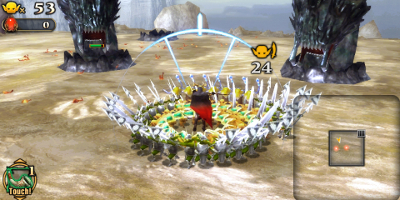 Army Corps of Hell borrows a few concepts from Overlord/Pikmin: You have to lead an army of a maximum of 100 minions through various stages, defeat enemies and bosses and loot them to buy new equipment. The game-play, although not really excellent, isn't that bad, but, unfortunately, it fails to remain interesting for long enough. The game-play ends up being very very repetitive; go through stages looking all the same, fight against the same enemies (or small variations of them), and use the same tactics for the whole game. 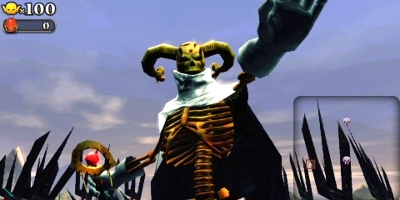 It doesn't help that there is almost no story, to keep things interesting, and that technically, we are faced with something graphically unimpressive, even for a PSP. Additionally, if you don't like heavy metal, you won't appreciate the tunes of the game. Other than that, it's a decent game for what it is.